THOUSANDS BELOW BOOK!!! OVER $2K IN EXTRA OPTIONS & FEATURES!! REMAINING FACTORY WARRANTY! 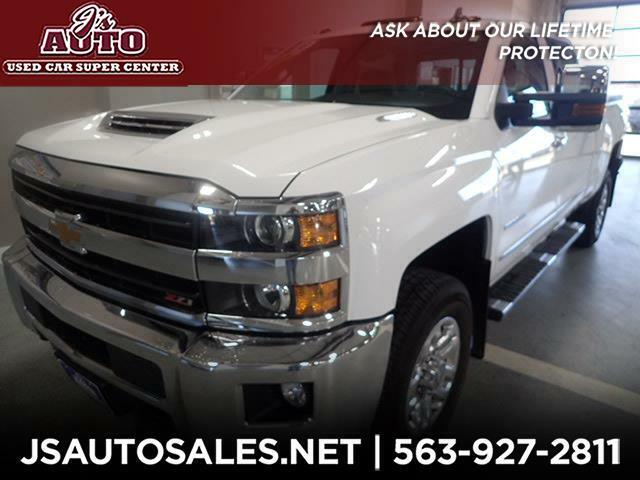 Don't miss out on our SUPER SHARP, LIKE NEW, ONE OWNER 2018 Chevy 2500 LTZ Crew Cab 4x4. This awesome, turbocharged DIESEL is an LTZ with Z71 package, spray-in bed liner, tonneau cover, running boards, 18-inch chrome wheels, and more. Low miles and an INCREDIBLE VALUE--THOUSANDS BELOW BOOK! I can't say enough, so come check it out-call or email our trusted, locally owned & operated dealership, here at J's Auto TODAY!